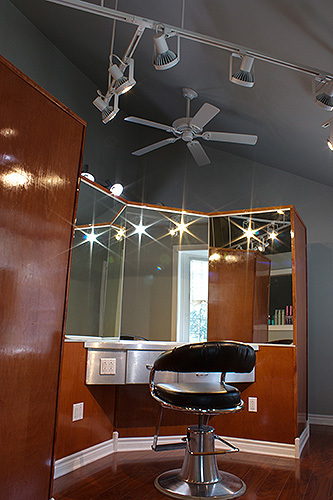 Studio 5770 is a concept salon developed by the imagination of hair stylist Dee-Jay Nitto. Dee-Jay Nitto is a hair stylist who has worked in cutting edge salons and trained under the world’s best hair stylist programs including Vidal Sassoon, Paul Mitchell, and Irvine Rusk. In addition to this training, Dee-Jay is one of Buffalo’s leading local trainers of advanced hair cutting techniques for the beginning stylist. Studio 5770 is the only local distributor of Chromastics hair coloring products from Tom Dispenza, a Buffalo born native and leading world renowned master colorist and inventor. Tom Dispenza’s coloring techniques have been featured on the Oprah Winfrey Show, The Today Show, and Good Morning America. This enables Studio 5770 to be the only exclusive distributor to offer in-salon private classes. as well as seminars, to all local stylists and salon owners teaching the coloring techniques by Tom Dispenza himself! 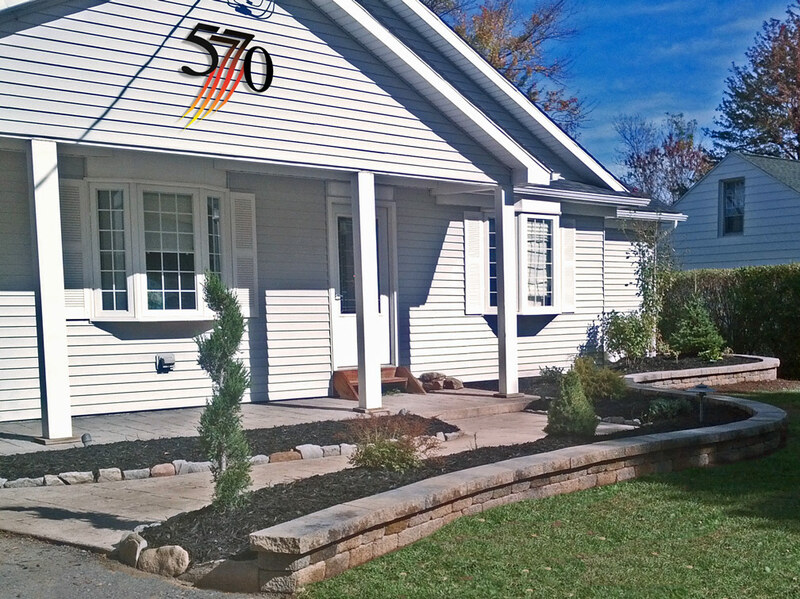 Studio 5770 is designed for those looking for VIP Treatment. You will work with master stylist Dee-Jay Nitto as your personal stylist and image consultant. Have a special request or need extra time? 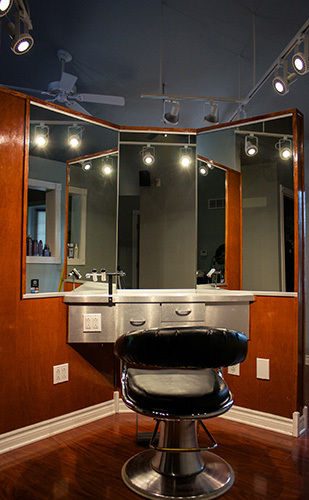 Studio 5770 is the hair salon for you! For over 3 decades, Dee-Jay Nitto has strived to give you absolutely the best hair, image and style services in Western New York. Now Dee-Jay is proud to announce the opening of his exclusive new hair salon, Studio 5770. 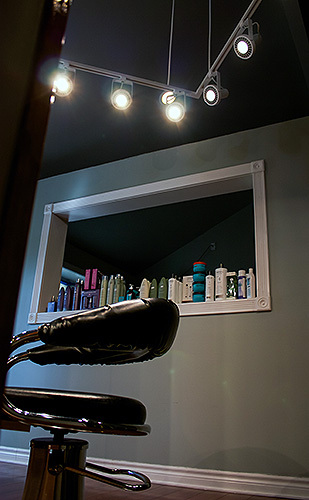 Tucked inside a charming setting on Sheridan Drive, Studio 5770 is a state of the art salon. It’s a peaceful new place where you and Dee-Jay can create the best looking version of yourself. Would you like to join our list of clients? People were growing tired of large salons that were inflexible with a revolving list of employees and the practice of herding in clients like cattle. Studio 5770 is all about YOU and your relationship with your personal hair stylist, Dee-Jay Nitto. Need to get in last minute? Ready to try on a new look? Want someone who works with you to get you looking your best? You have found the right place! If you want to find out for yourself the difference between Studio 5770 and the other salons we personally invite you to try out our exclusive, personalized hair salon for yourself. Simply fill out this brief series of questions about yourself and Dee-Jay Nitto will send you by US mail a personal invitation to interview at no obligation to see if there is a good fit for a working relationship! If it is decided by both parties to continue, you will receive a free haircut and image consultation worth $50! Exclusivity and Style!!! Rockstar Hair!!! I was tired of going to the rest – now I’ve found the best!!! Have you ever had the experience of coming out of the salon looking great, only to be frustrated for weeks, trying to duplicate that style? Have you gone into a salon with a picture telling the stylist, “I want my hair to look like that! !” and after several hours of torture you end up with the same haircut you came in with??? For years that was my typical experience and frustration. I searched high and low trying to find someone who under stood my dilemma. Being a musician, I have been fortunate enough to travel extensively, and during my quest for my perfect style, I went to top salons in New York, Toronto, Chicago, Los Angeles, Beverly Hills, etc. trying to get that perfect cut. A few times I came close, but I never quite hit the mark. Friends of mine in the entertainment industry told me “To get it right, you have to go to a celebrity stylist!! !” You know what that means – thousands of dollars!!!! Little did I know that 10 years ago my search would come to an end, and the answer would be right here in Western New York. Dee Jay Nitto – from the first meeting I knew this was going to be different!! His pleasant smile, and congeniality were to be expected in any salon, but what happened next was not. I was asked to sit in the salon chair, and for at least 15-20 minutes i was spun around and looked at from 50 or more different angles. I got up, I walked, I talked, had a cup of coffee, and instead of the typical “What kind of style are you looking for?” Dee Jay started discussing what he observed. I was educated about my natural features, and what type of styles were best suited for my face, body type, skin color, etc. We talked about my professional image, and what it would take to best portray that. I learned that the celebrity stylists work with their clients from the ground up to develop their styles, but that’s why their hair looks Great!! It doesn’t happen overnight!!! It is a program, and you have to be ready to commit. I quickly realized that this was not your typical haircut – it was an image consultation and an interview!! Needless to say, Dee Jay and I hit it off, and my journey began to bring out the real me – I guess I passed the test, LOL. I put my trust in Dee Jay, and committed to the program. I threw everything I thought I knew about hair out the window, and began learning how to properly care for my hair. I learned that healthy hair is easy to style, and with a proper cut, bad hair days can be almost completely eliminated. I also learned how to achieve my salon look at home!!!! After 3 years of following theprogram diligently, I was able to look into the mirror, and see Rockstar Hair!!!!! As a result of this image transformation I have experienced greater and greater success as a musician, playing at times to audiences of over 10,000 people!!! I have developed the confidence and stage presence to continually put on better and better performances for our fans, and the one thing I always hear after a show – “I Love Your Hair!! !” 🙂 One last note – over the years I have come to know Dee Jay not only as a stylist, but also as a great friend who truly cares about the people in his life. If your lucky enough to become one of his clients, you will find a level of service unsurpassed by someone who truly cares about you, and how you look every day. Do not expect to be in and out in 30 minutes. If you want to look great, it takes time!!! Be ready to commit! Salon 5770 is not for the average person. It is an exclusive place for those who aspire to greatness. Be the best you, you can be!!! Rock On!!! Dee Jay is a world class hairstylist. Dee Jay has been cutting my hair for over 20 years. I started getting it colored about 2 years ago too. I always receive numerous compliments regarding my cut and color. People are also amazed at how soft and shiny my hair looks too; a result of the great products he uses and sells to his customers. I always walk away pleased with the awesome job that he does on my hair. I highly recommend trying him out as your new stylist.